One of the benefits of our device-centric, always connected world is that people can do their work from literally anywhere. Freed from the constraints of the office, more and more folks are getting things done from temporary spaces, out in the field, or even at home. But, like everything else in modern business, there are real challenges that come along with that freedom. How do we set a remote team up for success? What expectations should we set? How can remote teams keep projects under control? What qualities should we seek when we look for someone new? And how can you maintain a company vision and culture when new faces constantly come and go, and teammates rarely see each other in person? These are relatively new questions for a lot of start-ups and entrepreneurs, but the world of sales has been dealing with them for many years. So we invited two global sales leaders to tell us how they handle the challenge of a mobile workforce. Dave Mattson is CEO and President of Sandler Training, a firm that develops international sales talent from over 250 offices in 27 countries. 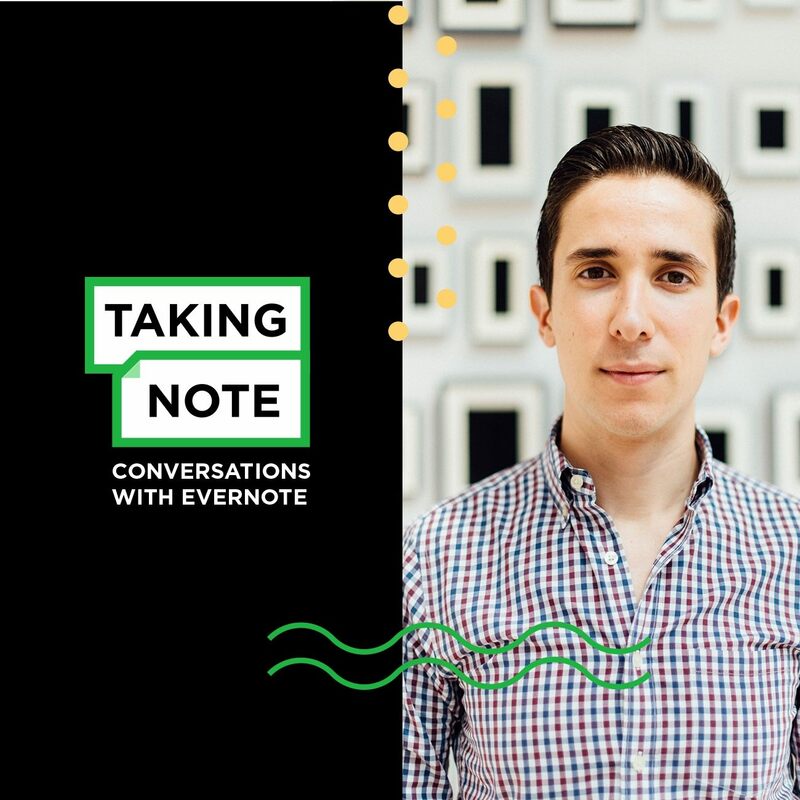 Norm Happ is Senior Vice President of Sales, Customer Success, & Partnerships here at Evernote, running a diverse global team with the same product he sells. 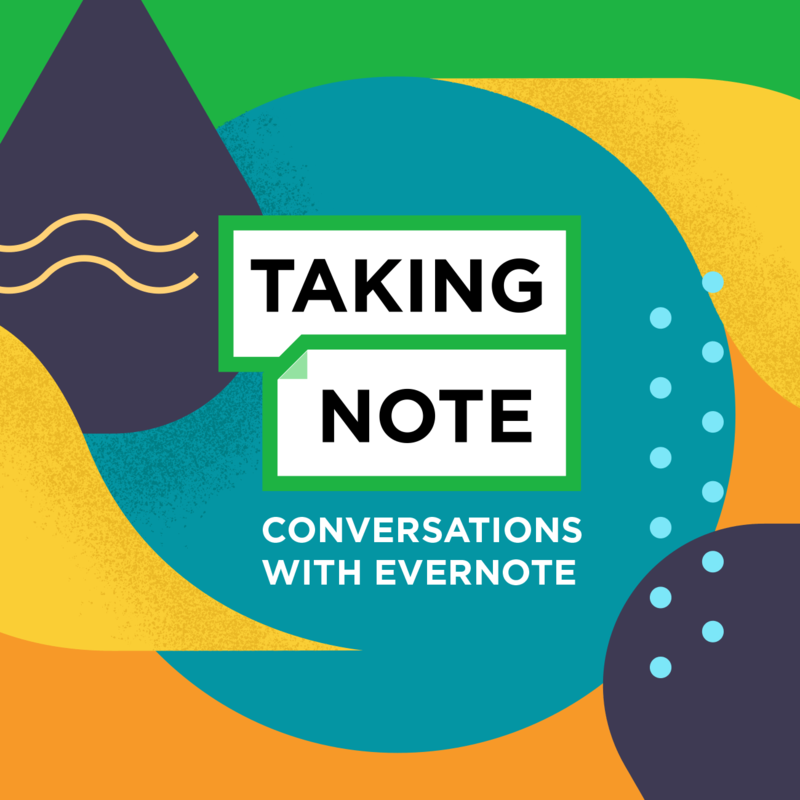 In the latest episode of Taking Note: Conversations with Evernote, Dave and Norm sat down to discuss how companies can reap the benefits of mobility without suffering the friction. Listen below or read on for some highlights from our conversation. Right now, there is a huge move towards a mobile workforce; the need to stay productive without being tied to a desk. As sales leaders, you have been dealing with these issues for many years. What does this movement look like from where you sit? Norm Happ, Evernote: I would break it down into probably two distinct areas. First is just distributed teams. Teams that are in different places have a different type of work style and different tools because everybody isn’t sitting in a single location. I think that the significant advance that’s taken place probably in the last five to seven years is really the mobile workforce. They’re working from maybe an office, maybe a coffee shop or an airplane or a commuter train, or even on the sideline of a soccer field. Arming those teams with the right infrastructure, the right boundaries, and the right level of support is critical to success. If an organization is new, or it’s growing, and they’ve never had to deal with these issues before, what advice would you give to someone leading an organization like that? Norm Happ: It all begins with hiring great people—I would characterize that as people who have very high integrity, have great motivation. And then arming them with things like clarity on the mission, understanding how they’re going to be measured, and the right operating cadence to check in on those measurements. And then on top of that, you have to arm them with the tool set that’s going to enable them to get their job done, regardless of their physical location. And beneath all of this — and it may sound sort of quirky or obvious —it has to be fun. They have to remain connected to the mothership. They have to really feel like they’re part of a broader team. A downside or an unintended consequence of having people work remotely is oftentimes there’s a sense of isolation. Dave Mattson, Sandler Training: For us, when we’re building a mobile sales force, or we’re helping clients do that, the best thing to do is to look at the job profile, regardless of where they’re located. For example, say you’re calling on the c-suite and you’ve got a six month sales cycle, and you’re selling a $50 million piece of equipment. That’s different than if you’re calling on a VP of X for a $15,000, two-month sale, and so you have to match that employee to what your world looks like. It sounds easy, and it is, but most people don’t think about it. Once you’ve got that job profile, then I think you really need to look at what I’ll call a ‘candidate profile.’ We use this acronym, SEARCH, which is very simple: Skills. Experience. Attitude. Results. Cognitive Skills. Habits. With a team that is liable to be working from literally anywhere on the globe, in any sort of an environment, what are the specific characteristics that you would look for in a new hire? Dave Mattson: We’re searching for self-starters. You know, has that person had the experience and do they have the results of starting something from wherever it is. Do they hit their deadlines? Do they get their projects done in time? Time management is also a characteristic that we’re looking for because regardless of where you are in the world, projects tend to expand to fill the time that you give them. I’m looking for people who can take a project or a workflow from where it is today to where it needs to be, and have the thought process to get that done. Norm Happ: I think it has to do with things like integrity and motivation. But also really making sure that we’re crystal clear on, “What are the outcomes that we’re expecting them to achieve?” And making sure that they stay connected to the mission of the company and the overall company outcomes. Also, as you also touched on, the importance of recognition and making sure that there’s very deliberate actions taken so that they feel like they’re connected to the broader team. Dave Mattson: Setting expectations should be a corporate characteristic. You have to set clear expectations of what the job is, what the outcome looks like, what success looks like, what failure looks like. 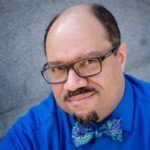 The better you can paint that picture, the better off that remote worker will be and, thus, the organization, and I think that’s something that really slips through the cracks with most organizations that are managing a remote workforce. They’ll have that conversation up front, thinking that it’s at the top of everybody’s mind, but it’s not. You have to continually reinforce and make sure that those expectations are super-clear, and then validate that they understood them. How do you maintain a vision, a mission, or a culture in your company when the faces are always changing, and often they’re not in the same room with you? Norm Happ: My experience is, you have to treat them all like employees and you really make sure that you invest the time to ensure that they understand the company’s mission, the company values, and really what we’re strategically trying to accomplish. If you treat them like second-class citizens or somebody who’s not part of the core workforce, I think really the results begin to reflect that disconnect. It does put a lot of stress on the onboarding and ensuring that you have a methodology and you have documentation and other information, that you can very quickly get that person up to speed and ensure that they can begin contributing very quickly. Is there any particular advice that you give to people when they’re joining your team? We’ve looked at this from the perspective of the manager. What does a new employee who’s joining a remote team need to keep in mind? Norm Happ: I think that every person in an organization is really an innovator and an inventor. As much as there’s process and rules that are intended to achieve the best outcomes, I really challenge them and set an expectation that, as you bring experience from prior organizations, or you identify things that would help the organization improve, please apply those. And then share those as best practices. Dave Mattson: Again, I think it’s expectations. We tell them, “You have the greatest ability to help us.” And what I mean by that is: we’re in it already. We don’t know what we don’t know any longer because we’re part of it. So, we would love you to tell us what you think is something that we do great and things that we really should work on because you’ve got experience from other companies and you’re new. And when we give permission to do that, you’d be amazed how much information that I can gather as a CEO, but also how much they feel engaged. And when they see changes being made based on their suggestions, “Hey, we did this because we heard X, Y, and Z.” That’s fantastic. I think the onboarding process really sets the stage for them to say, “I feel part of the company. I know what I’m supposed to be doing. I feel like I have the tools to succeed.” Most companies spend the majority of their time in the interviewing process, and then say, “Well, thank goodness we found the right person.” But they drop the ball in onboarding, and onboarding is really a simple process. Tell them all the things that they need to do to succeed in the first, let’s say, 60 days, 90 days, 120 days. And then you, as a manager, can give them candid feedback. But, as an employee, I’m motivated. Why? Because now, it’s in my ballpark. I know what I have to learn and when I’m going to learn it. I know where I stand. As a new employee, I want to succeed, the company wants me to succeed. I just think we fall short a little bit when we don’t give that foundation in the beginning. So any organization is only as good as the people you have, and it’s also only as good as the training you give those people and how effectively you bring them on board. But also, of course, especially when we’re dealing with a team that’s distributed or mobile or using freelance resources, it’s only as good as the tools that you give them. So, let’s talk a bit about tools. There’s an ever-growing number of tools available for businesses of all sizes. How do you determine what the right tool set is for your business? Norm Happ: The first tier of tools are the most obvious: the hardware solutions, whether that’s a mobile phone, tablet, laptop, that every individual needs to have. The next piece is: you need a method for them to create ongoing interpersonal relationships with their leaders and their peers. I’m a huge fan of all meetings taking place over video, and so a really easy to use, robust video conferencing solution is critical. This might be a bit self-serving, but we really find that, Evernote Business and the way that we use it is an incredible way for teams that are geographically distributed to all stay on the same page and eliminate that world of just flipping in and out of your inbox and searching through email from weeks and months ago, trying to find those important documents. My teams run basically everything that we do through Evernote Business. And there is one other thing that I would say is part of the setup, but not necessarily a tool, and that’s the work environment that you expect them to use in their home office or wherever they choose to work from. If they are in a customer-facing role, there’s certain elements of the home office that are critical. Dave Mattson: We have a Sandler backdrop because I agree they should have video communication. 55% of people’s rapport skills are lost if you can’t see the other side. So we made sure that a remote office looks like they’re in one of our conference rooms. Initially, it looked like we were going overboard, but it’s really proved to be the right move. We also make sure that they have templates. You’d be shocked at how many times a sales force is reinventing the wheel. They don’t even share the simple things, like PowerPoints. So, you’ve got Person A using their pitch book. You’ve got Person B doing theirs, and it’s just all over the place. They need a place to share and to collaborate. We did it without Evernote at first, and then we became a client of Evernote some time ago, and it’s really kind of changed the world. It’s true. But there’s a lot of things that can help you become more effective, and I think you have to decide what to use, because you’ve got people — we know who they are in my company, and I think everybody knows who they are in their company — that say: “we’re gonna chase the next shiny object in technology; wouldn’t this be awesome, oh, wouldn’t this be cool?” And it probably is, but I don’t think we’re going to be like a sailboat here and just tack left and tack right. I’ve seen that too many times. We’re gonna figure out what works for us and make sure that we’re teaching our people how to use it. If we make adjustments, great. If we have to switch, then there has to be a good reason why. Norm Happ: One of the tools that we use is a team communication charter. It helps us understand when to use which tool. You know, oftentimes you’ll hear people say, “well, I emailed that a few weeks ago,” or “I sent you a Slack,” or “I sent you a text message.” As a team, what we’ve found is that it’s best if you get very clear on when you use the phone, when you use video conference, when you text, when you Slack, when you email, and what’s the service level agreement for those. If you send me an email on a Friday at 7:00 PM, do you need a response at 8:00 PM? As a team, we got together and established those norms so if you really, really need something from me, you call. You don’t send me an email and you don’t send me a Slack message. You have to adjust your communication style to the content of the message and make sure that your entire team is operating under that same charter. I now preach this relentlessly. Another one that I push on is: I will not meet with somebody if it’s just over the phone. I will only do video conference. Because if it’s not in person or over a video, I really don’t know if you’re engaged in the conversation. I don’t know the circumstances. If we’re shoulder to shoulder, we would get the best work done, but if we can’t be shoulder to shoulder, I want to make sure that we get that same experience, and so I know that we’re both heavily engaged. Over the phone, you know that there’s many other things that people can be distracted by that you may not be tuned into. Any time you bring a new tool into your organization that’s going to change the way your organization works to some extent. Oftentimes, rather than adapting that tool to fit the way you work or the needs of your organization, the organization starts adapting to fit the needs of the tool or the demands of the tool, and the next thing you know you’re bogged down in process. Or you have to start from scratch and there’s a difficult period of churn where nobody quite knows how things work anymore. How do you avoid those issues? But I also think most organizations that roll out tools do not do a good job in following up. They roll it out and move on. And that’s the beginning of trouble. You need an implementation plan that helps people understand what that tool is doing over long periods of time. Norm Happ: Yeah. We encourage people to test out new things, but it’s a much bigger undertaking if you decide that you’re going to adopt them in a more widespread manner. Tools come and go, and you end up with data silos. There’s some great tool that a person in your organization decided they wanted to use with maybe a few other people, and before you know it, you have really important company IP or customer information that is now off in somebody else’s platform. We’re very methodical about tool adoption and we keep the number of core business tools that we leverage to a very small number. A great video conferencing solution, Evernote Business, and then beyond that, I would say that there’s very few other things that I use on a regular basis. Okay, Norm. So, let’s, let’s dive in there. You are the leader of a global team here at Evernote. How do you personally use Evernote Business to get your work done? Norm Happ: It begins with this concept that we’ve developed over the last year, called ‘Spaces’, and it’s part of Evernote Business. Each of our key initiatives, or things that we do on a regular basis, are encapsulated in what we call a Space, and within that is every single thing you would need to know about that body of work, and every single person who would need access to that body of work is able to operate within that. I’ll give you an example. For the sales organization, we have a Space called ‘Sales’, and within there are all of our sales forecasts, our playbooks, our onboarding plans for new reps, any sort of reporting that we need. And so, when a new person joins our organization, we’re not saying, “Well, go to this network drive and I’ll email these other documents.” Or when our CEO says, “Hey, I’d like to see the latest report,” it is all right there, all in one place, and there’s no excuse like, “I don’t have access to this drive” or “it’s not on my laptop.” It is across every single device that our teams carry. Whether it’s a drawing that we put on a whiteboard or Excel files that might be used for some advanced modeling, there’s all this different information, and it all sits in one place. Frankly, I can’t imagine how companies today operate without having a single encapsulated location for everything related to a particular initiative or topic. Dave Mattson: Especially if you have remote teams in different geographies dealing with the same issue, right? How many times have you heard, “Hey, I sent that to you. I don’t know where that is.” And the other thing that we found, which we didn’t expect, is that we were talking about decisions that we had made already, two meetings ago, but because it wasn’t easily accessible or it wasn’t located anywhere, we wasted a lot of time and we were inefficient. But now, everyone knows where we are, everyone knows where that documentation is, and it’s much easier for us to progress at a faster pace and we’re more effective, to be honest with you. Norm Happ: And I’m sure everybody out there has walked into a meeting before where questions arise, like, “What’s on the agenda, was I supposed to read something in advance and is there a deck and where’s the notes from the last meeting?” Using Evernote Business with Spaces, now every single meeting that I walk into, I have everything in one location, whether it’s the agenda, whether it’s the action items from the last meeting, or it’s the content that we’re gonna cover in that meeting, whether it’s, you know, a PowerPoint deck or a Google Doc or Google Presentation, it all sits in one Space, and so it really helps us use our meeting time most effectively. What other secrets do you have for staying on top of the day-to-day? Dave Mattson: I think you have to have a process. I create what I call a ‘cookbook’ or a recipe. And what I mean by that is: as a CEO, there are certain things that I’m going to do on a daily basis, a weekly basis, a quarterly basis. So I created a ‘cookbook’, which is nothing more than a behavioral plan. What do I have to do every single day in order to succeed? I’ll give you an example. I talk to five clients a day. Or, let me say, I call five clients a day, and that’s one of my cookbook items because I want to touch base with them. I may not talk to all of them, but I do that religiously. It’s just part of my everyday to-do list, and I have those types of cookbooks, or recipes, for all different types of things, but what it does for me is that I get to do little things along the way so I don’t have a massive project. I don’t forget to do certain things. And what I find is that it helps me get things done way earlier. Norm Happ: Two things that I think might be illustrative to this conversation. First is the importance of in-person contact and bringing remote employees in so they get to meet and engage with their peers and leaders. I try to get out to all of our remote offices on a regular basis so we have that interpersonal relationship. If times get tough or you’re working on something that’s super challenging, they know who the person is on the other side of that video conference a little bit more. The other thing is just the importance of the work product. Not the end product, but the work product. I have a philosophy of transparency, and so as I’m working on different things, I don’t want to have this great unveil at the end. If I’m working on a strategy document, I actually put it in a spot where everybody can see the work as it’s happening, and that then helps them buy into it and they’re engaging with that work product before it becomes the final version. I think that that not only engages my team, but also it helps create a better outcome. And so my notes, for example, for this podcast. My team in Zürich already has popped in and written some notes and helped contribute content to this that I otherwise wouldn’t have thought of. So I think that transparency and real-time collaboration is helping us end up with better solutions than people working in isolation. Dave Mattson is CEO and President of Sandler Training. 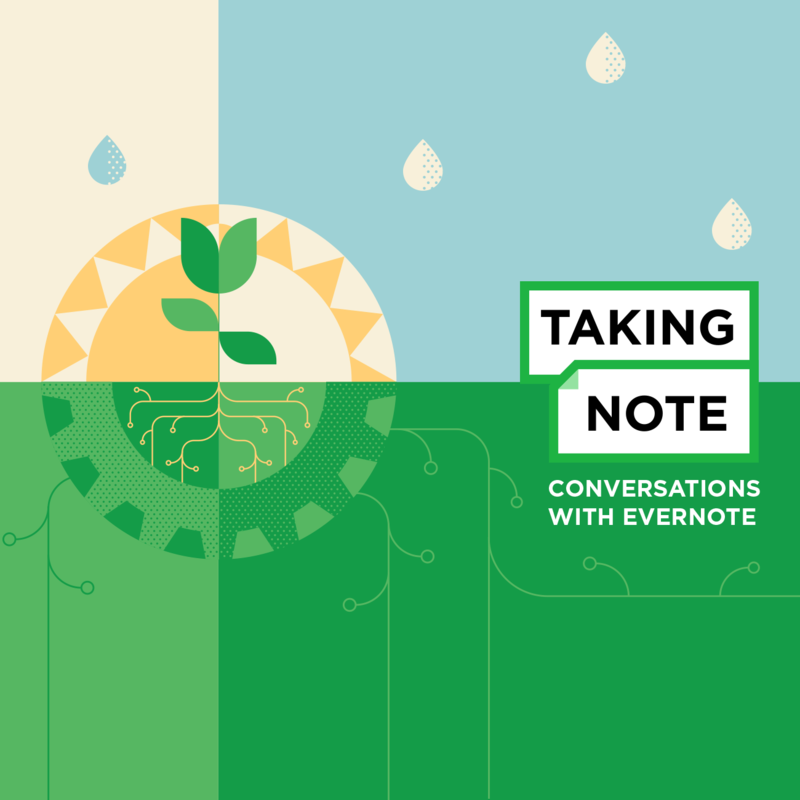 Norm Happ is Senior Vice President of Sales, Customer Success, & Partnerships at Evernote.